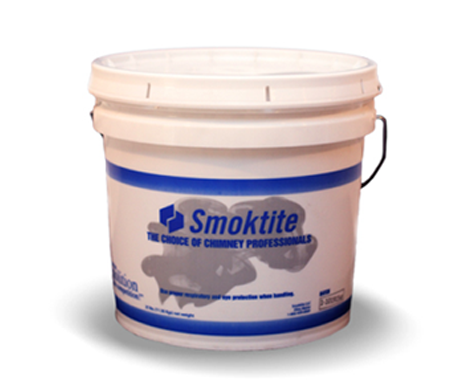 Smoktite material has been specifically formulated to be applied to the inside of fireplace smoke chambers only by using our Smoktite System. The material is shipped dry in a 3 ½ gallon sealed pail. One bucket is sufficient to complete an average sized smoke chamber with larger chambers requiring two or more. Just mix the dry material with water (instructions on pail) using a standard paddle mixer and it’s ready to use.